Stuck In The Buckosphere: Severe weather lull about to end? I did some research over the weekend. I was interested in when the last time it was that we had a Tornado Warning in Central Ohio. I found a warning archive but it grouped Flood, Thunderstorm, and Tornado warnings, so I had to sort through them. As it turns out, the last TOR for all of Ohio was for Delaware and Licking Counties 2AM September 8th, 2012. 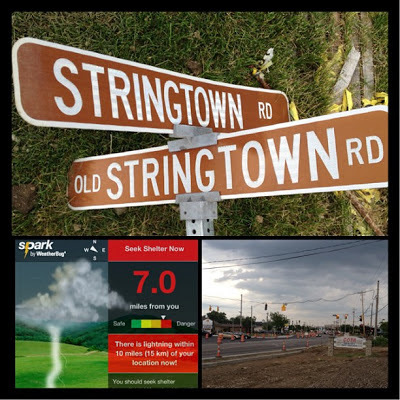 It has been nine months now since a Tornado Warning. That is crazy! 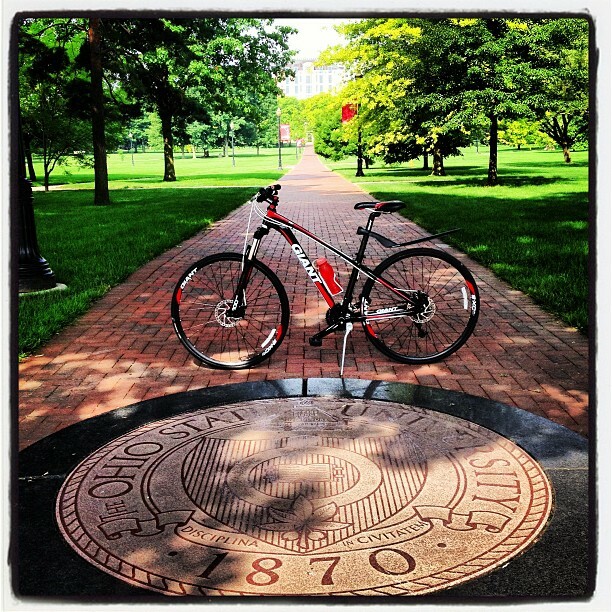 Rode the bike down to Ohio State on Sunday morning and it was super quiet. Summer Sunday morning on campus... who woulda guessed, just kidding. 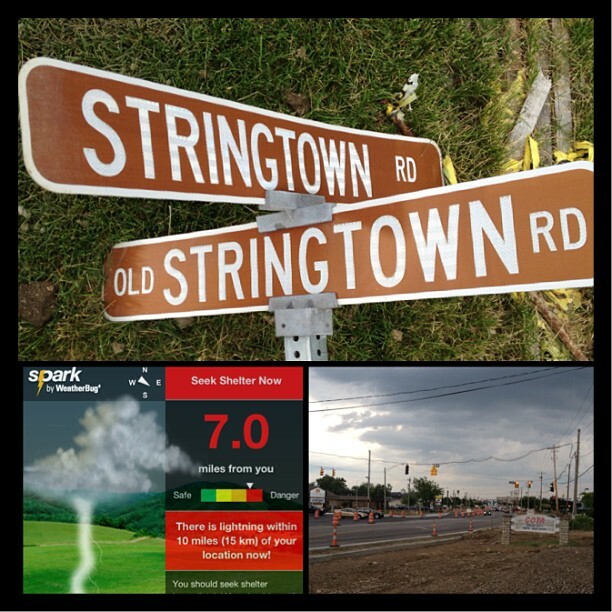 A few storms fired up this afternoon and the lightning grounded my 6PM LIVE shot on the Stringtown Road construction. I was planning something super creative too... oh well. We all play along to Mother Nature's rules. So taking a look ahead. Tuesday looks quiet and warmer with a high in the mid 80's... warm and humid. Wednesday we will get a little warmer and a few pop-up storms in the afternoon. These storms will be marginally severe and expected to be isolated and single cell storms that could produce strong winds and hail. This will not be the main threat for severe weather. There will be a quick moving "mass of energy" for lack traveling from Southern Minnesota down towards Fort Wayne, Indiana and then cut down into Central Ohio. The timing for Ohio looks to be overnight Wednesday night into Thursday morning. There are a couple of players with this system... Wednesday storms may pull some of the available energy out of the atmosphere. Too many pop-up storms in the afternoon will cut down on storm strength overnight. Another limiting factor in the strength of the overnight storms will be the timing. The vort, or mass of energy, will be arriving during the coolest part of the day and the most stable time of the day for the atmosphere. Still a lot of variables, but if the storms stay strong pushing across Indiana and we have the proper energy then we will likely see severe weather overnight into early Thursday. It could be a set-up for another derecho. I will be back with more updates, but the afternoon storms Wednesday and look at the radar Wednesday evening will paint the picture very nicely. I will let you know if the track of the storm looks to shift as well, so check back in. We cool off a little for Thursday, but we bounce right back into the 80's for Friday and the weekend. Have a good one!